I was recommended to Windsor B&B (bed and breakfast) 温莎堡民宿 by a friend. When I first saw the photos of the room, I fell in love with the place immediately. 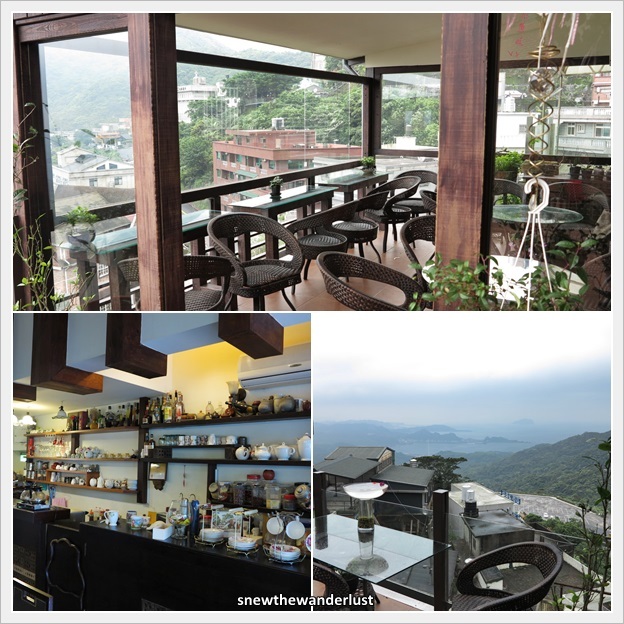 Initially, I planned to stay one night at Sun Moon Lake and one night at Jiufen. But I realised it make no sense to travel so far to Sun Moon Lake and back just for one night. So I decided to spend more time at Jiufen and vicinity. The photos of Windsor just seconded my choice. So, we booked a 2-night stay there. The owners of Windsor B&B - 许大哥 and 陈姐 (Mr and Mrs Hsu) are husband and wife team. Their daughter and son also help out in the running of the B&B and the cafe. Windsor B&B have a few sections of the Inn. The first is 涵馆 (Han Guan), which is housed together with cafe. There are 4 rooms for this, each with a different theme. We stayed at one of the rooms here on our first night. Our room was 涵馆 2 and Mrs Hsu personally brought us to our room and introduce us the place. The room is big. 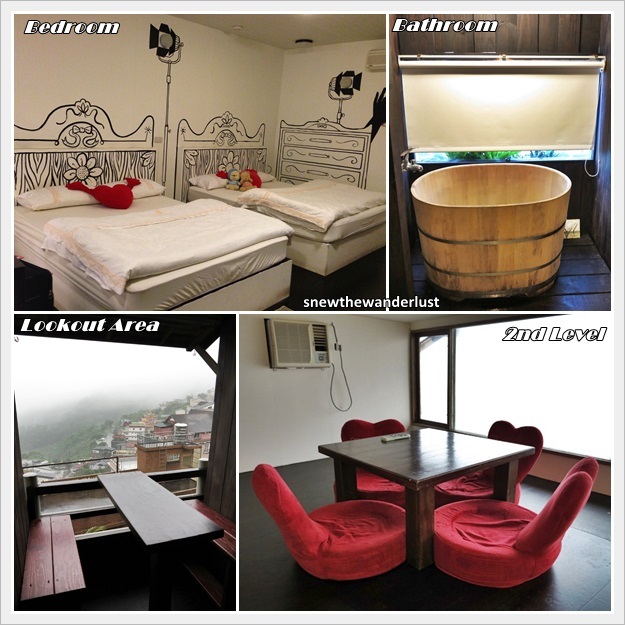 The concept of 民宿 Mingsu means its a comfortable stay and carries a homely feel. The room is divided into a few areas. It has a living area as well as the bedroom. Stepping out, you have a lookout area, toilet and bathroom. There's even a stairs leading to the second level. The second level is an area where you can have tea, and enjoy a full glass panel view. A partially blocked view from the lookout benches, but we do have a good seaview. The next morning, breakfast is provided at the cafe. The breakfast area has a full glass panel view where we enjoy sipping coffee and enjoy views of the Pacific Ocean. The second day, we shifted to the another section of the Inn, which is located almost at the end of the Jiufen Old Street. This is call the 日光涵馆 (Ri Guang Han Guan). This section have 7 rooms, also individually themed. Our room was 日光涵馆 7. The huge glass panel was the highlight of the room. From that huge glass panel window, we have a clear unblock view of the Pacific Ocean. We were Wow by the scenery and spent a lot of our time enjoying the view from our room. There were two levels, and the room could sleep up to 8 pax (2 double beds on each level). This room is good for extended families travelling together (although there is only 1 toilet). The view that blown Papa Snew off. He asked me why didn't book the same room for 2 nights. Well, occupancy at Windsor B&B is very high. We booked our rooms 1 month before arrival and there were limited rooms left. We have to adjust our travel schedule to fit the room availability. 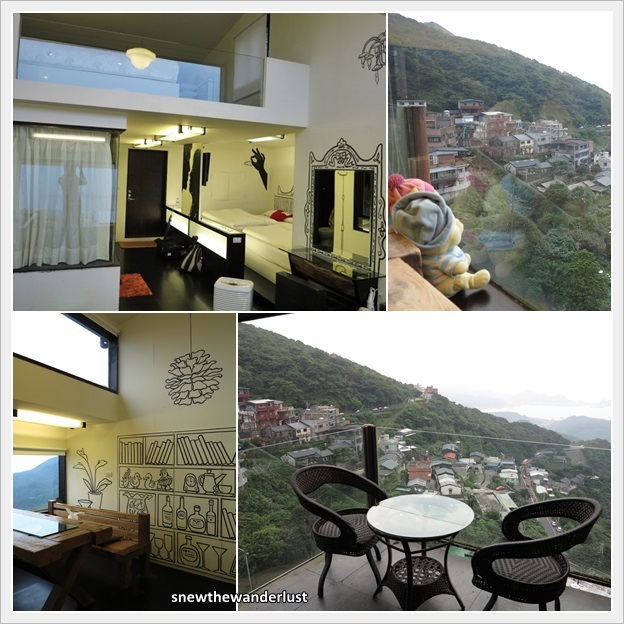 I would fully recommend Windsor B&B to anyone going to stay at Jiufen. Other than these two sections of the Inn, they also have a section call 香草庭院 and 老舍 which is more rustic and ancient feel. However, 涵馆&日光涵馆 are still the more popular choice. 1) Book Early. We made our reservation 1 month prior to our arrival and rooms are almost fully booked. Remember, this is not a hotel and there are not more than 15 rooms. They are very popular with Singaporeans, Malaysians, Hong Kongers and Japanese. So, book your stay EARLY! 2) Bring only Hand or Cabin Luggage. There are definitely flight of steps in Jiufen. If you the stay is at 日光涵馆, it's at the far end of Jiufen Old Street. Plan your trip such that you can leave your huge suitcase with the concierge in your Taipei Hotel. On our trip back to Taipei from Windsor, we ask the staff at Windsor Cafe to get us a taxi that comes right at the doorstep of Cafe to Ruifang. Cost slightly more at NT200 to Ruifang Train Station. 3) Book a Driver to explore the nearby areas. 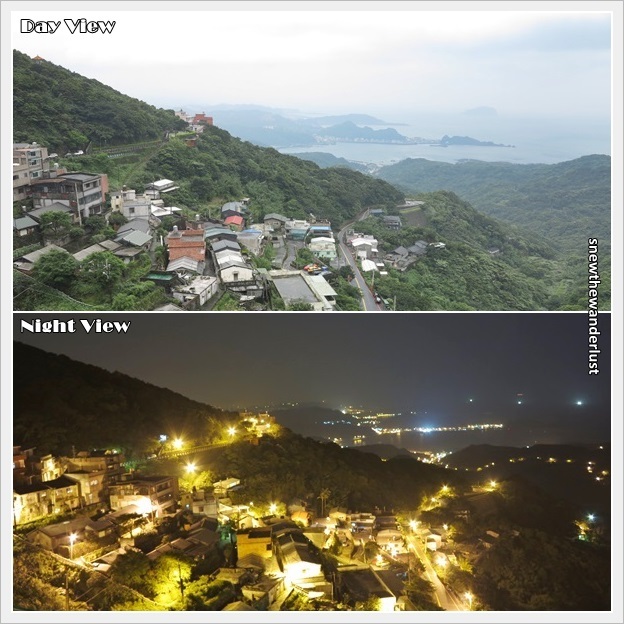 The North-eastern coastal areas and nearby areas from Jiufen are beautiful places to explore. We went Jinguashi 金瓜石, Golden Waterfalls 黄金瀑布，Yin Yang Sea 阴阳海, Nanya Rocks 南雅奇石，Shifen 十份and Yeliu 野柳 on a road trip (which I will next blog). It's definitely worth a trip to these places. 4) Moderate your Expectation. Remember that you are staying at a B&B, not a 5-star hotel. It's the intimate experience of staying at a place owned by a local family that is invaluable. It's authentically design and every detail that been put into thought by them. Treat it like you are staying at someone's house on your holiday. Do not pinpoint or worse, try to compare it to staying at a luxurious hotel. The website is in Chinese. Upon reservation of your room, you will need to transfer 50% of the room reservation charges to confirm the reservation. 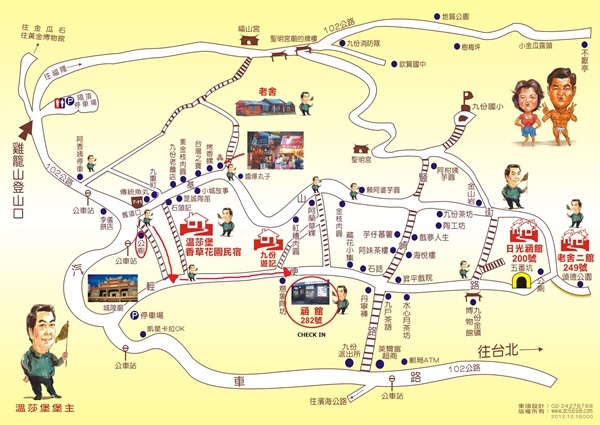 I am planning to bring parents to Jiufen next month, do you think 涵館 is close to the most popular part of main street? Just dont want parents walk for too far... Thanks! Yes, it's near to the main street. However, do note that your parents have to be able to walk on steps to reach. Jiufen requires walking on steps. Hi! Thanks for your blog post, it is very organized, interesting and informative compared to the other blogs that I have been researching on! I'll be heading to Taiwan next month and am keen to stay at Windsor B&B as well. As for the drivers that you recommend hiring, did you book it through any particular website or via the B&B host, Mr Hsu? Also, how much did it cost? 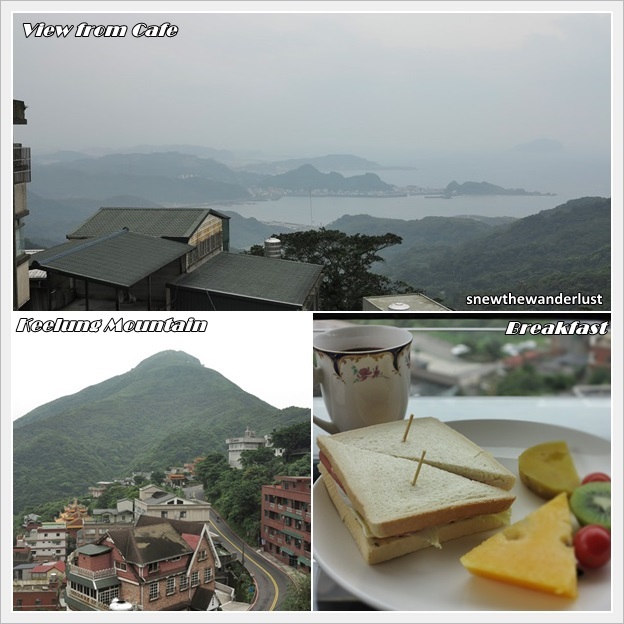 Lastly, I noticed that you did only Jiufen & Taipei in 7D6N. I am planning to travel Taichung (2N) - Jiu Fen (1N) - Taipei (2N), do you think this is feasible? Thanks so much! Hi! I got the driver contact from Mr Hsu. You just need to email him. Hi! You mentioned you booked a driver to explore the nearby areas such as Jinguashi 金瓜石, Golden Waterfalls 黄金瀑布，Yin Yang Sea 阴阳海, Nanya Rocks 南雅奇石，Shifen 十份and Yeliu 野柳. May I have the contact of the driver? How much did you pay and can the driver speak English? sorry, may i ask which room is the one that is better in term of scenic??? can i ask if the bathroom is the same for both? The 日光涵馆 (Ri Guang Han Guan) definitely has a better view. The bathroom have a similar concept. However, every unit has its own theme and may differ. You can check the website for photos and details of each room.